The origins of the town can be traced back as far as the middle ages when a hillfort was developed in the area, and I suspected by many historians to the castle rock. Besides that, from approximately late sixth century to late tenth century, the town was regarded to be part of Northumbria kingdom, which was a place reserved for Scottish Kings. The earliest and well-documented occurrence of habitation in Edinburgh is based on the evidence from a Mesophilic site that was found in the areas. Other notable evidence of past cultures include the iron age, bronze age, and some significant habitations have been discovered in an area known as Castle Rock as well. It has been said that the cultures of the early occupants of Edinburgh are reminiscent with the cultures of the Iron Age that were documented in some of the important parts of Europe. When the Roman set foot in the Lothian location towards the end of the first century AD, they came across a Celtic Brythonic and the p-re-historic tribes that were referred to as Votadini. The Romans decided to set up a fort at Cramond, that grew over the years to become what is known as Edinburgh today. Some historians had documented that before the 7th century, the Gododdin who were the main ancestors of the Voadini, are believed to have built a hillfort referred to as in Eidyn or Etin, somewhere within the new Edinburgh. While the exact location of the hillfort cannot be pinpointed, there is evidence that suggests that they would have opted for the excellent position of the Castle rock or perhaps for Arthurs seat. 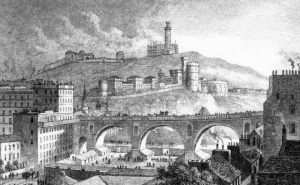 When the Gododdin era was in its prime, he Lothian location came into existence, and Edinburgh was regarded as its main location in the area.